The offset position of the King's Chamber (KC) from the Queen's Chamber (QC) presents us with something of a puzzle, never plausibly explained by Egyptologists to my knowledge. Some may suggest that it's simply the diagonal of a 1:2 rectangle. It's true that the positioning does conform to that angle, but then why offset the chambers at all and why that much if all they were trying to do was not have them directly above each other? You could accept that suggestion though, if you were satisfied with that explanation. Personally, I think there may be more to it than that. I think the ancient Egyptians were so concerned with the stars that they used them as the basis for that part of the pyramid design. Agree or disagree, as you see fit. I'm merely presenting something which I found and which seems like a possible alternative explanation to me. I did post another idea several years ago about how the chamber positions also seem to match up with the stars Atlas and Alcyone just before the Pleiades set in 4th Dynasty times. However, the Pleiades is a rather small asterism and perhaps this new idea is a little more plausible due to the larger scale of the stars involved. Known for: Wadi was used by seasonal migrants from Sinai into Egypt." Here's how Altair and a small asterism known as the "knife" in Egypt look overlaid onto a CAD Great Pyramid drawing by Gantenbrink on his Cheops.org site. It's just the most accurate diagram I could find so I hope he doesn't mi if I used it. I did mention his site so it's sort of promotional use anyway. Another interesting thing is that on that same day, July 20, 2585 BC, Venus was also visible in the eastern sky when Sirius rose and Procyon was due East at a little under 10 degrees altitude. The Sphinx appears to be gazing slightly upward from the horizon. Was it gazing at Procyon, or just in the general direction of Venus or Sirius? Procyon was more directly in front so may be the prime candidate. Of course, on the equinoxes it would be gazing at the rising sun, but that may not have been the only time it was gazing at something significant. Actually, when Venus rose that day, July 20, helical rising of Sirius, Altair was due West. Venus rose at about 22.5 degrees N of E at that time, so not at all directly in front of the Sphinx, just an interesting observation and another possible connection with Altair. Venus rose at that same spot every eight years, by the way. 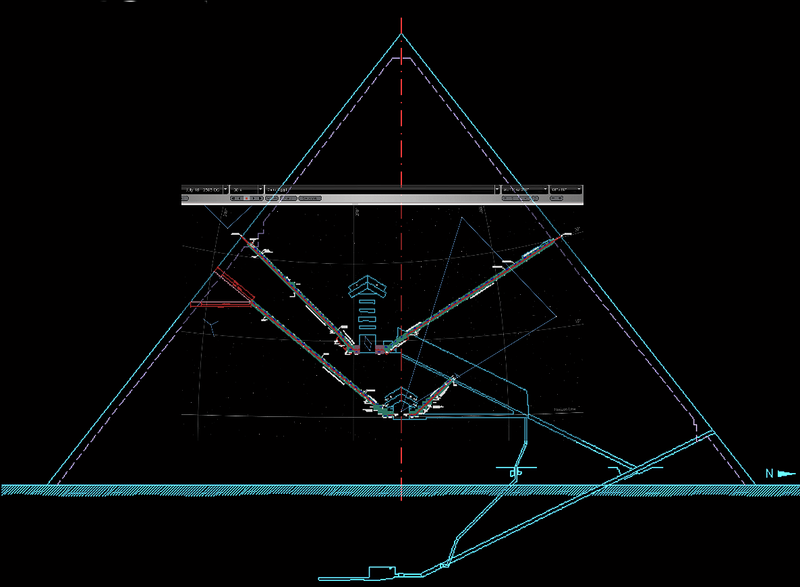 The CAD pyramid drawing can also be overlaid when Altair was due West, with only slight variation from the above image. I favor the Sirius rising timing myself but it could be either I suppose. Here's how that would look. In this case the lowest and brightest star of the knife asterism is in the middle of the KC. I also attached two of the images to this post, in addition to the image hosting ones above, in case the hosting site deletes them someday, which does happen. I think this image is more accurate. I found a thing that said that in Egypt the sun needed to be 7-8 degrees below the horizon for Sirius to be visible. That looks like July 15 in 2585 to me. Not much difference in the images actually, I just wanted to show the improved version. Altair is closer to the horizon in this one, the horizon line can be seen going through the QC passage. Probably that they are not above each other to gain more structural integrity. Well, that's a lot of work, but you could have rejected a number of those points if you stopped to look at the floor plans of earlier pyramids. For example, there's the Bent pyramid (constructed before Giza). If the positions had the significance you attribute to them, then they would have been the same throughout all pyramids. The other big flaw is that the nomes were not stable - the number of nomes in Egypt varied from millennia to millennia. The third flaw that I see in the paper you're referencing is that it goes quite astray when it tosses in the Book of the Dead. 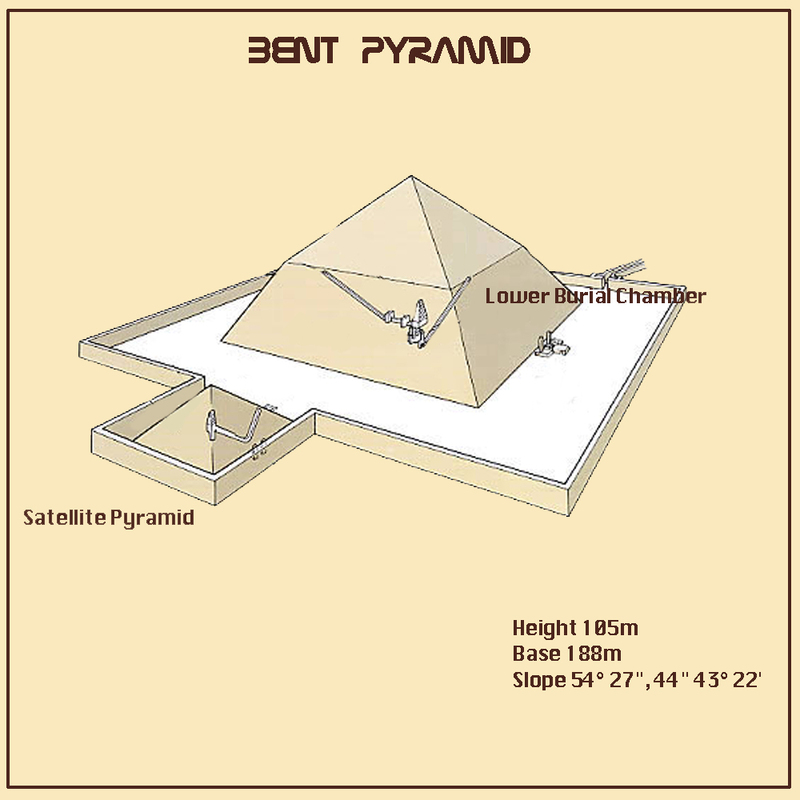 The Bent Pyramid may have it's chamber positions based on different stars than the Great Pyramid. About the nomes, they simply gave me the idea. Anyone can set an astronomy program to Giza 2585 BC and see that when Sirius was high enough above the horizon in the East to be visible, those stars I showed are what is prominent in the western sky just above the horizon. Giza is a necropolis, the western sky is where the dead went, Sirius was probably the most important star to the Giza Egyptians so it seems to be logical to me. 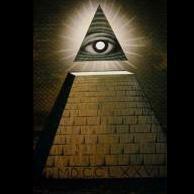 It doesn't mean every pyramid was designed that way, just like not every pyramid was bent. Personal taste of the king involved I suppose. By the way, I think the coffer is offset northward from the middle of the King's Chamber to correspond to the position of the lowest and brightest star of the Delphinus asterism known as the knife to the Egyptians, which one nome is actually named after. The nome with the Leo/Altair/Sirius correspondence is directly across the Nile from Giza, which may explain part of the reason for the apparent Great Pyramid chambers correlation with them. People probably lived over there, rather than in the actual necropolis, which would have been too creepy. Giza was in a nome called White Wall. Maybe someone can figure that one out. What stars form a white wall? What stars form a white wall? I would assume the milky way. 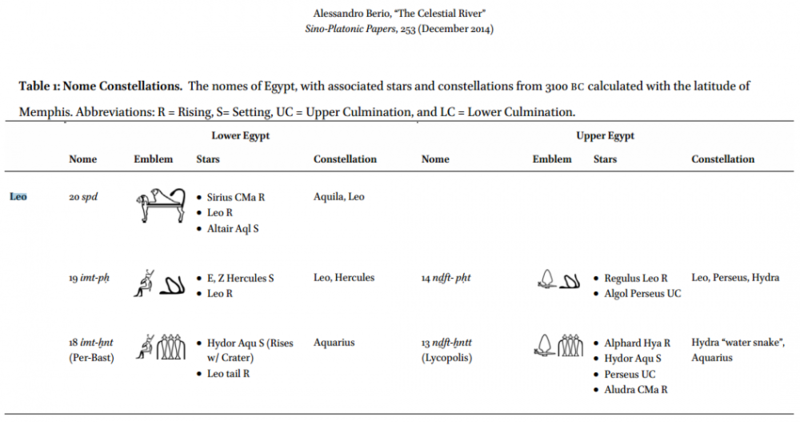 The Bent Pyramid may have it's chamber positions based on different stars than the Great Pyramid. Sirius was probably the most important star to the Giza Egyptians so it seems to be logical to me. It doesn't mean every pyramid was designed that way, just like not every pyramid was bent. Personal taste of the king involved I suppose. By the way, I think the coffer is offset northward from the middle of the King's Chamber to correspond to the position of the lowest and brightest star of the Delphinus asterism known as the knife to the Egyptians, which one nome is actually named after. * I don't see any references to any group of stars known as "the knife." Where des this come from? The nome with the Leo/Altair/Sirius correspondence is directly across the Nile from Giza, which may explain part of the reason for the apparent Great Pyramid chambers correlation with them. People probably lived over there, rather than in the actual necropolis, which would have been too creepy. Giza was in a nome called White Wall. Maybe someone can figure that one out. What stars form a white wall? Just a point of order, Kenemet. Waset was the name for Thebes, specifically the great temple of Thebes. Ineb-hedj was the ancient name for Memphis (see link). There was certainly importance to the heavens for the ancient Egyptians, but modern people tend to overplay it significantly. Mesopotamians like the Babylonians were far more polished with the subject. The idea that "this pyramid lines up with this or that star" is an entirely modern constreuct, with very little corroboration to support it. To the Egyptians lining up certain monuments with the cadrinal directions was significantly more important. 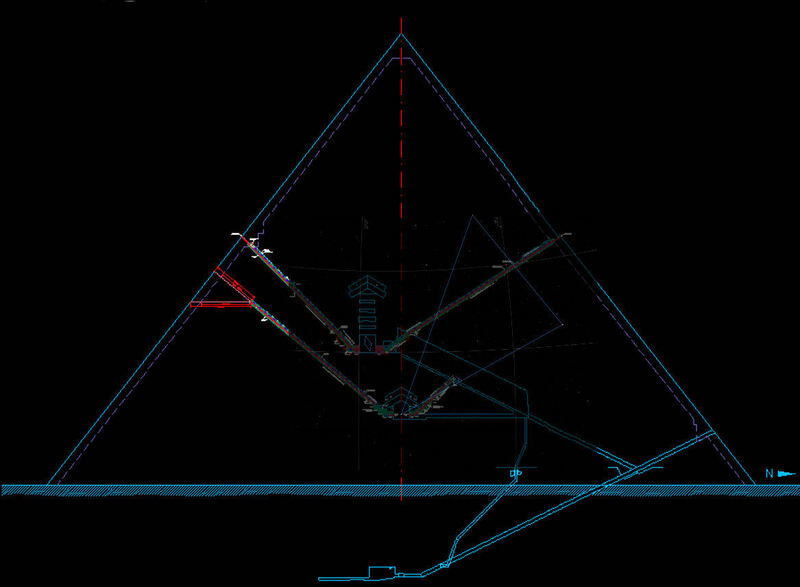 Think of the mysterious "air" shafts in the Great Pyramid. When I first read of the theory that they were supposed to aim at specific stars, I liked the idea. Not so much now. The theory is entirely speculative, borne from the modern mind, so caution is in order. For one thing, those shafts are not even straight but tend to wind around inside the mass of the pyramid as they ascend. Ha! That's what I get for not looking it up! Maybe ... just maybe.... they’re like that because that’s how they Ancient Egyptians wanted them to be. I recall reading somewhere that the precise layout of the internal chambers of the Great Pyramid had something to do with Osirian mythology. This is all speculative nonsense of course, especially considering there is no evidence Osiris was worshipped or even conceived of before the end of the Fifth Dynasty. Oh, hello @Lord Harry I've been at that other place trolling our friend. They don't think much of him there either. LOL! I'll join you there soon. He's pretty much a pariah wherever he goes. What did he say so far? I think I got banned with one post. They banned you? Strange who the mods are biased against the sober minded. One crankish woman there want on a profanity laden tirade against me without even receiving a warning. I'm about to dive into the Clovis thread. I think I might upset some carts. I must lurk more though. The formatting there is weird though. Cladking likely responded to you, but responses can be hard to follow. Took me a while to get used to. No, I'm picking on Roc. Oh didn't know he was there. LOL! I've been trying to find the thread for the past 10 minutes. It was a word salad and I just asked him the same 3 questions I've been asking for a month. He probably deleted it. They are probably UM fringe refugees. Are you guy talking about the Hancock forum? If not that, which one. I love playing with Legos with my nephew. I buy him sets. Damn, Legos are expensive these days. But I think I enjoy them so much because I LOVED them when I was a kid.